After the end of the Anime of Selector -Spread- WIXOSS one would think that the series got an end, because it was an end a satisfactory one. But that will not be the end for this franchise in the Animated world. I´m saying that because the Staff wrote something interesting on Twitter. There will be a Movie!!. The Card Game started on April and the Anime had two Seasons (Selector Infected and Selector Spread). The Franchise keeps still on the Manga. 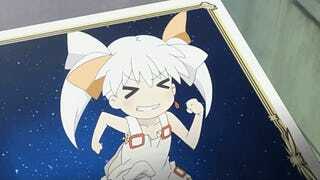 By the way Wixoss is pronounced “Wi-Cross”, although on my min i still say it “Wicsoss” :P.